Families have shared purpose and so it is at Eagle Wing: not only do we strive together to create a successful and flourishing business but we also work to become strong advocates on behalf of the (sometimes endangered) wildlife that we encounter. Without pushing an agenda we discuss with guests the challenges wildlife faces, the issues at play and the strategies for success that we and other stakeholders have discovered. Eagle Wing is proud to rely on word of mouth and customer referrals (see our number one rating at Trip Adviser 2007, 2008, 2009, 2010, 2011, 2012 & 2013) for the majority of our business. Each and every guest is a VIP considered to be a source for future business and a person with the potential to help change the future of endangered species and ecosystems. 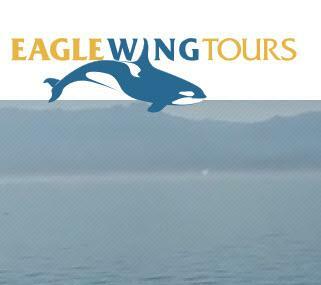 Come share in the purpose that the Eagle Wing Whale Watching Tours family lives every day! Enjoy the best.